One of my favorite thing to do with Yuli is to take one of her games and adapt it to teach her something new. 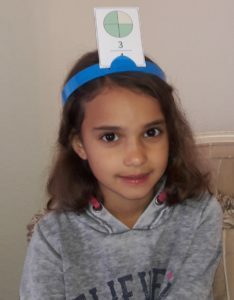 Today I want to suggest a fun fractions game based on the well loved Headbanz game. 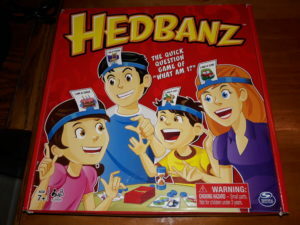 Headbanz game: if you don’t have the game yet it is highly recommended. 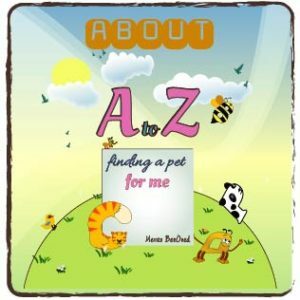 Not only is it really fun but it can also be adapted to teach almost anything and I will share more cards to teach about various subjects in the future. Deal out one card, facedown, to each participant. Each Player then place the card into the clip of his or her headband without looking at the picture. All other players must be able to see the picture. Each player gets three chips, to be handed out by dealer. Any leftover chips become the “bank”‘s property. The youngest participant takes the first turn. Then play passes to the left. When it’s your turn, just flip over the timer and ask each of the players a question that will help you figure out what the picture is on your head. Once you’ve asked each player a question, simply begin another round and then another. Am I bigger then 1/2? Is the denominator bigger then ___? Is the numerator bigger (smaller) then __? If you guess the picture before the timer runs out, simply take another card and put it behind your headband. Continue to ask questions until the timer runs out. For each picture that is guessed correctly, you simply put one of your chips into the “bank”, signaling the end of your turn. Players are always free to give up guessing at any point during their turn. But if that player does give up, they must take a chip from the bank! More fun activities will be shared weekly, if you want more activities like this one subscribe to mail notifications and never miss out. What is the subject that you are most interested in activities for? what are your child ages? Let me know in the comments sections and I will try to create and find fun activities to teach your kids.